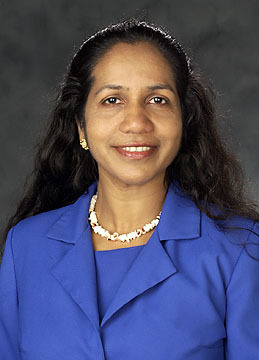 Professor Jude M. Antonyappan, an international educator, Fulbright scholar, and consultant, obtained her doctorate in social welfare from the University of California, at Berkeley. Her research interests are in the areas of organizational excellence, international development, international diplomacy, minority group experiences, social capital, integrative intelligence, sexual intelligence, and appreciative intelligence. After two successful decades of an outstanding teaching career at California State University, Sacramento, where she is valued as an excellent teacher and an empowering mentor for first generation learners and non-traditional students, she opted to participate in the Faculty Early Retirement Program, in 2017, in order to pursue her life long dream of obtaining a degree in Law; and practice international and comparative law in the areas of corporations and human rights. Hundreds of graduate social work students have completed their thesis/projects under her guidance. She is a conscious and loving mother of three extraordinary children, whom she raised as civic minded citizens into successful adulthood and assume the responsibilities of honorable occupations. Dr. Antonyappan continues to teach two courses each semester, at Sac State, in the weekend Intensive and online format. Working rigorously for five years, she obtained her black belt in Kenpo style of Karate, practices Zhan Zuang style of Tai Chi, Ayurvedic style of cooking, Bharatanatyam dance, and enjoys playing Chess. Besides English, she is fluent in Tamil, Malayalam, Hindi and holds intermediate fluency in German, Nepali, Sanskrit, and French. She appreciates Latin, particularly, the Latin Catholic prayers. She is an avid supporter of organizational processes that are rooted in social justice and love. Her fundamental commitment in life is to live life fully, and maintain an attitude of gratitude, as an art of daily joyful celebration of life and love.